Genetic testing may help to show if you’ve inherited a tendency to get certain diseases. By looking at your family history, we can tell if you’re likely to have a gene mutation that may contribute to a disease. Results from this testing may help you change your lifestyle to reduce your risk of getting a disease, change the frequency of routine screening for cancer among other things. Genetic testing may help to show if you’ve inherited a tendency to get certain diseases. We use a sample of blood or skin for genetic testing. Genetic testing for mutations is slowly becoming available. However, many doctors still don’t know a lot about the tests and how to use them. A positive test result means you have the mutation that you tested for. If you have a positive test result, it means you may be more likely to get the disease than most people, but it doesn’t mean you will definitely get the disease. A negative test result means that you don’t have that particular mutation. This may mean that the disease doesn’t run in your family, or it may mean that some other gene causes the disease. A negative result doesn’t mean you won’t get the disease. It only means that you’re not more likely to get the disease than other people. By looking at your family history, your doctor can tell if you’re likely to have a gene mutation that may contribute to disease. A disease might run in your family if a relative developed the disease at a young age, or if several family members have the disease or if the condition is rare. People from certain ethnic groups may also be more likely to get certain diseases. If one of your family members already has the disease, have this person tested first. This helps show which genes, if any, are related with the disease. How do I decide if I should get tested? Talk to us about the history of cancer in your family. 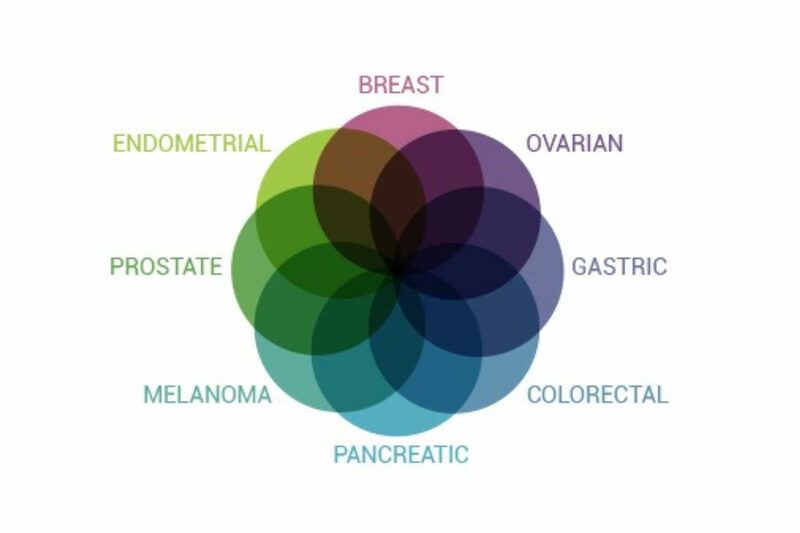 We understand that learning about your health and the health of your blood relatives is essential in determining your genetic risk of developing cancer. Know your risk of developing a disease. You might be able to change your diet or start exercising to reduce your risk of getting a disease. Your doctor will know how often to check you to see if you’re getting a disease. You might be able to take medicine to prevent the disease.